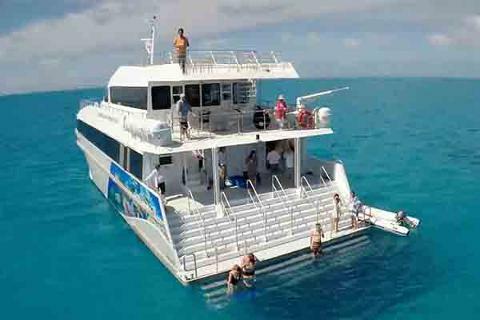 Sunset Safaris takes you on the most amazing Great Barrier Reef experience ever created. Enjoy the world’s most exotic wildlife experience as we take you to the world’s Largest Reef, to see the world’s Largest Turtle Research Centre, and to swim with one of the world’s Largest Animals - the mighty HUMPBACK WHALE. 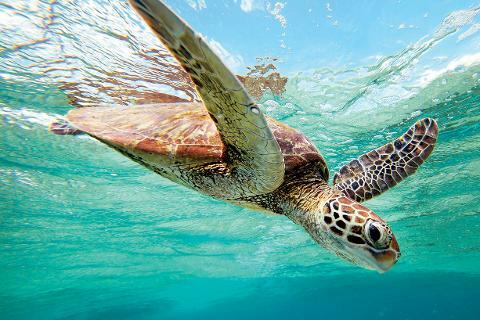 Join us on the Great Barrier Reef where we will see migrating birds, turtles and coral, in a place that many would call “Nirvana.” Snorkeling, diving and deep-sea fishing is what this place is famous for, as we encounter colours and beauty unsurpassed anywhere in the world. You can even go for a swim with the turtles as they wait patiently at a cleaning station for the little fish to clean their bodies. The Southern Great Barrier Reef is known for its Stinger Free environment - allowing us to swim without worry all year. 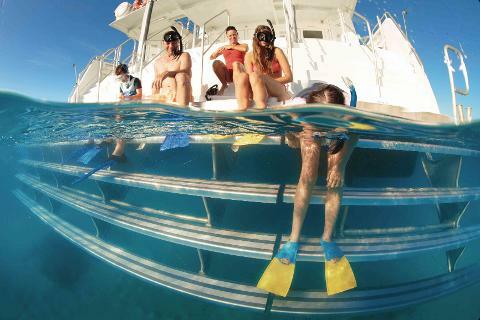 Sunset Safaris takes you on the most amazing Great Barrier Reef experience ever created. 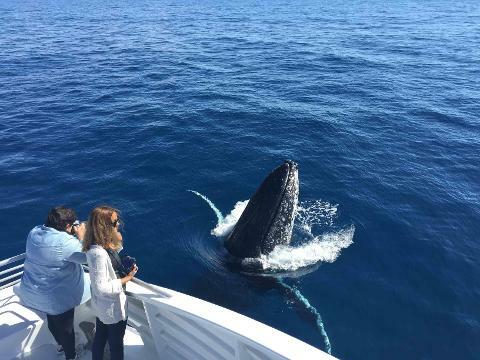 Enjoy the world’s most exotic wildlife experience as we take you to the world’s Largest Reef, to see the world’s Largest Turtle Research Centre, and see one of the world’s Largest Animals - the mighty HUMPBACK WHALE. 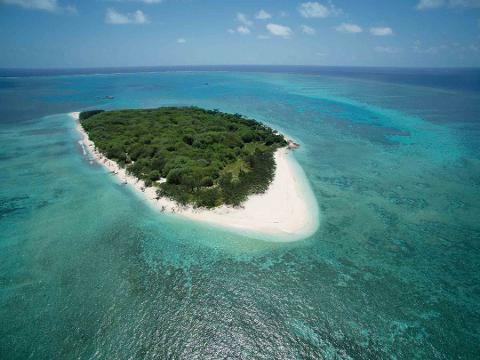 Join us on the Great Barrier Reef where we will see migrating birds, turtles and coral, in a place that many would call “Nirvana.” Snorkeling, diving and deep-sea fishing is what this place is famous for, as we encounter colours and beauty unsurpassed anywhere in the world. You can even go for a swim with the turtles as they wait patiently at a cleaning station for the little fish to clean their bodies. The Southern Great Barrier Reef is known for its Stinger Free environment - allowing us to swim without worry all year. 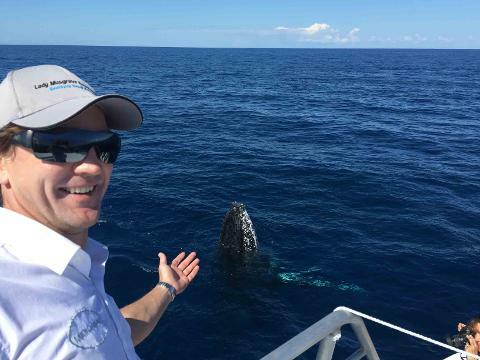 Departing from Gold Coast, Brisbane and Sunshine Coast, Sunset Safaris offers the best value & most comprehensive Great Barrier Reef experience ever made. 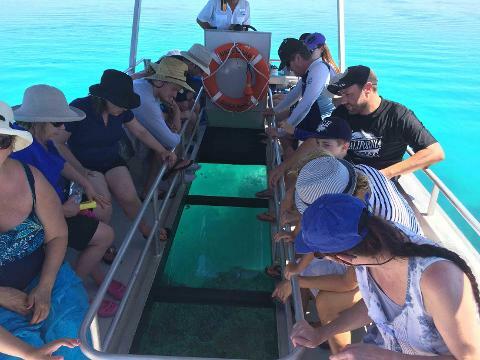 Enjoy a FULLY GUIDED tour, and take all the worries out of your Great Barrier Reef experience with our carefully planned itinerary & Tour Guides. 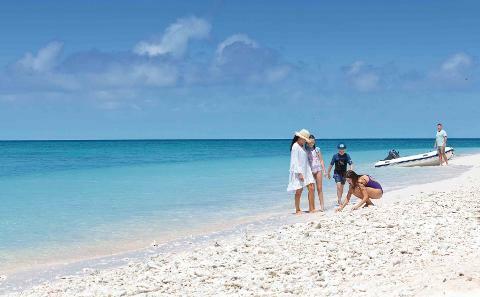 Our package includes all accommodation, food and the Great Barrier Reefs most exciting itinerary, making this tour #1 for VALUE and FUN. beach and lay eggs in the sand. 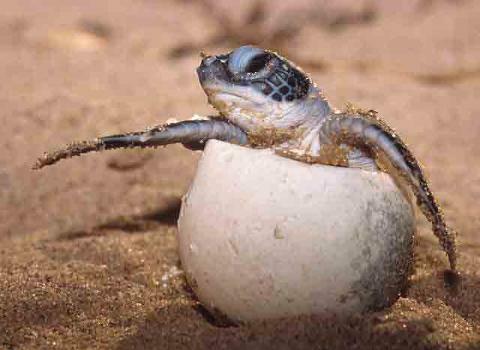 From February, you will also see the baby hatchling turtles crawl out of the sand and make their way down to the beach. For many, this experience is one of the highlights in Australia and is guaranteed to leave lasting memories. 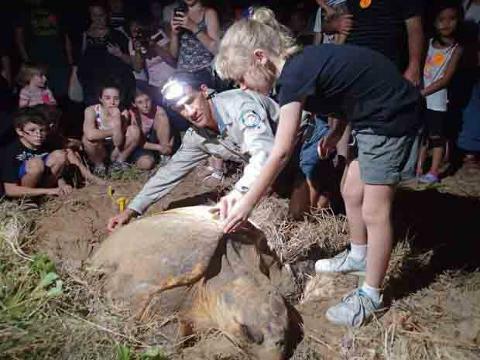 In the off season, Sunset Safaris offers an informative turtle experience at the Mon Repos Turtle Conservation Centre. 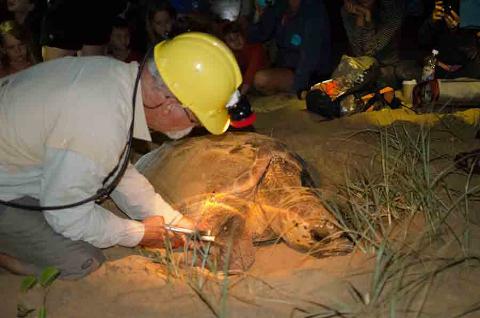 Learn all about the life cycle of these magnificent creatures, and the conservation efforts that are being made for the protection of the endangered Loggerhead Turtle. This is an interactive display that is both educational and impressive. Queen & single beds on the ground floor. Choose a Villa for yourself, or save money & share with others from the tour. 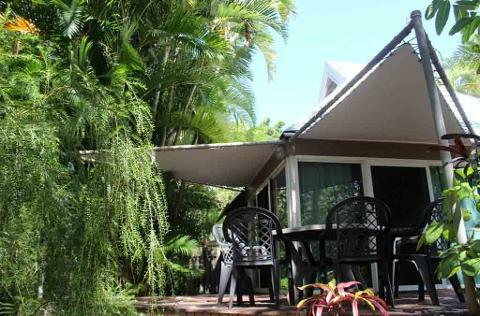 All ECO Villas have lounge room, bathroom, toilet, air-conditioning & balcony with outdoor setting. 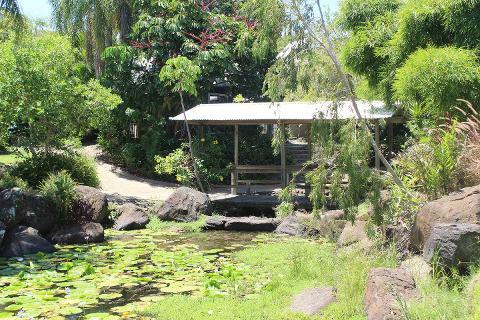 Enjoy the spacious gardens, lakes & entertainment areas in this beautiful ECO resort. 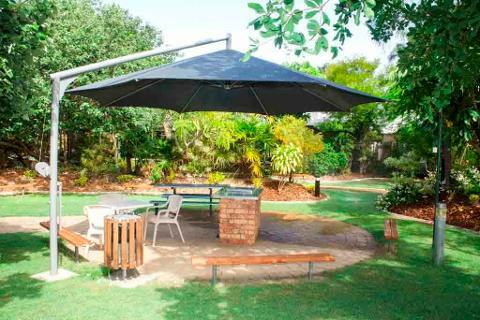 Tennis, pool-table, air-hockey & other games also available.